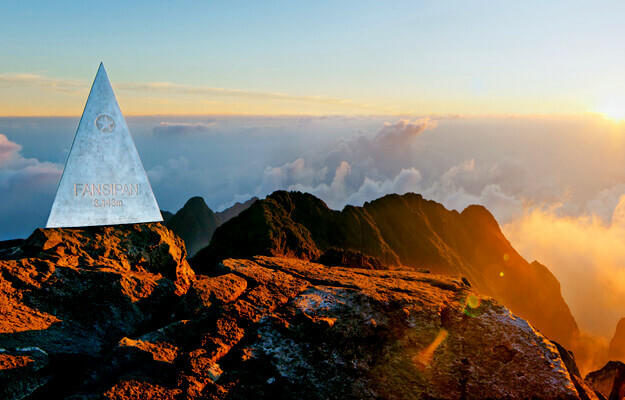 Fansipan is the highest mountain in Vietnam, located on the majestic range of Hoang Lien Son. 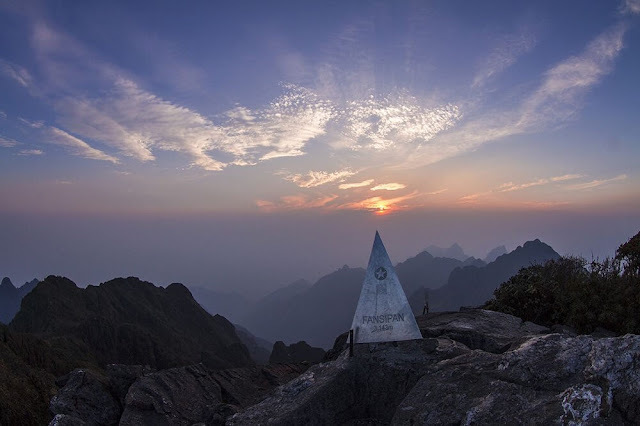 This is also the highest peak in Indochina, so it is called "Roof of Indochina"
In the local dialect, Fansipan is called "Hua Xi Pan" which means "Tottery giant stone plate". The peak of Fansipan is at the height of 3,143 meters, in the territory of Lao Cai Province. Fansipan is about 9km southwest of Sa Pa Town, in the border area of Lao Cai and Lai Chau provinces in the northwestern part of Vietnam. Located in the heritage site of Hoang Lien (recognized as ASEAN heritage garden), Fansipan currently has a very rich and diverse ecosystem, especially in term of flora. According to scientists, Fansipan was formed more than 100 million years ago. Speaking of flora in Fansipan, there are 1,680 species and 679 species belonging to 7 groups, of which there are some very rare species. Until present, Fansipan has always been the rendezvous of many climbers, explorers and tourists having the passion for conquering nature. The appropriate climbing time is from September to March next year. However, the ideal time to climb Fansipan is at the end of February, when mountain flowers begin to bloom. Conquering Fansipan truly induces feelings that other tour may never offer. The feeling of exhaustion mixes with the joy of victory when conquering the height of 3143 meters. The joy is spread and multiplied when the group sits together to open champagne, take a photo to celebrate and enjoy a delicious lunch on the "Roof of Indochina". Waking up in the early morning at an altitude of 3.143m, you will have the opportunity to admire a spectacular view of the azure sky with shimmering golden clouds spreading out from the top of the mountain. The mountain looks like a giant refrigerator, blowing cool air to every corner. Cultural, artistic, culinary and sports activities such as art exhibitions, orchids, village cultural festivals, Northwest culinary fairs, Sa Pa, Trade Fair - Tourism Sa Pa, etc. is also an attraction to many young people coming there. Not only Vietnam, Myanmar is also a worth-to-visit country in Asia. Consider some our Myanmar River Cruises like Anawrahta Cruise & Sanctuary Ananda to experience this nation in luxury way.